Those 2-minute noodles you eat when you’re broke, lazy or both are actually meant to be eaten with the soup – and not drained like Maggie and its ilk have led you to believe. 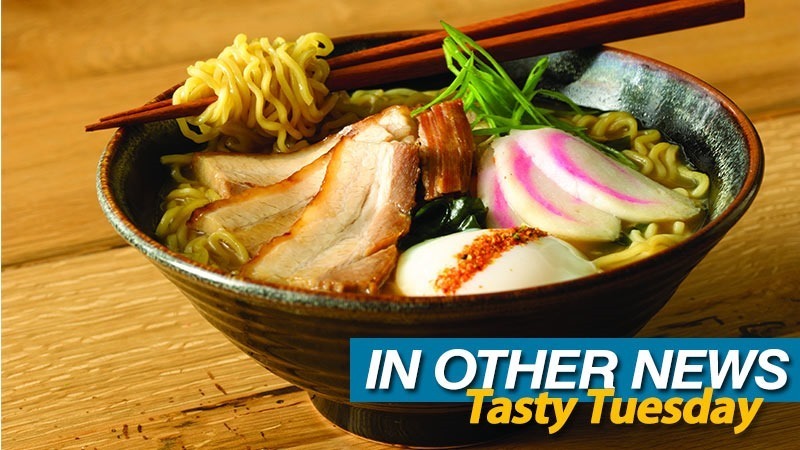 They’re actually instant Ramen; a favoured Japanese dish of Chinese origin. Think about other “instant” variants of foods you eat. Instant soup? Pretty gross. Instant Mashed potato? Super gross. Instant pudding? The grossest. And it’s much the same with Ramen – and it all comes down to making the broth. A good ramen is both so simple and so complex at the same time. It takes time, simmering roasted pork bones away for hours to develop a delicious broth, producing tare, the principal saltiness that’s combined with dashi ( base stock), Kombu (an edible kelp) and the result of the simmering pork bones. Of course, the noodle itself is important. It needs to have the right texture – and be able to stand up to sitting in a hot soup without turning to mush. On top of the noodles and the both, you’d typically find a bit of sliced, roasted pork belly, green vegetables, and luxuriously poached, halved eggs. It’s difficult to state in words just how satisfying a great ramen can be – but “satisfying” is possibly the best word to use. The brilliant marriage of deep, complex flavours and the simplicity of what’s essentially a bowl of noodles creates one of the most satisfying meals on this or any other planet. In Other News: More shovelling for an 8 bit hero, a new co-op RPG, PlayStation Now gets game and the best Femshep (THE ONLY SHEP!) cosplay you’ll see. Here’s the news we didn’t post because our domain expired. It’s not about the car you drive in this trailer for Fast & Furious parody SUPERFAST!